DRAMABEE – acting workshops for kids! 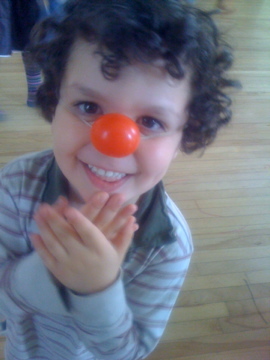 Dramabee provides an exciting introduction to the world of acting and theatre to children- through play! It’s what they love to do and it’s what they do best, so by making both the workshops and performances a series of games we get to see these young actors performing with a vitality and spontaneity that is riveting to watch! Performance Workshops During these workshops a creative process is established in which the children are encouraged to express themselves through storytelling, improvisation, and creative movement. From this wonderful beginning it is possible to help children develop their true potential as performers. They learn to create a character and also learn important theatrical techniques such as voice work and stage presence and build towards the ultimate reward – an ensemble production, live on stage! Drama workshops These workshops provide a no pressure, confidence-building environment where children have the freedom to explore many different roles. They work on character development using props and costumes and also explore acting skills such as voice work, improvisation methods and relaxation techniques. These workshops are filled with laughter, fun and drama games!……and can be taken on their own or as a support to the performance workshops. Contact Catherine – catherine@madamechocolate.com – for registration details.